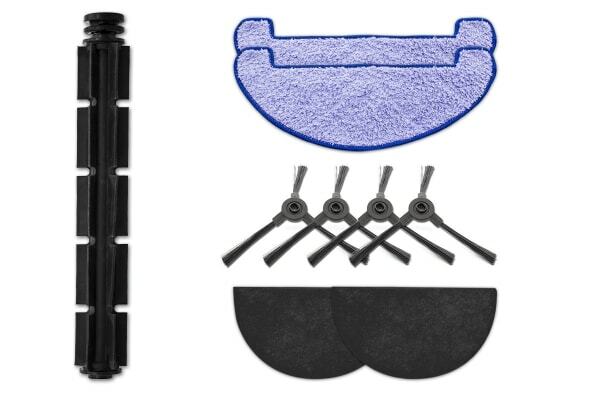 Upgrade your Kogan R40 SmarterHome™ Smart Robot Vacuum with this accessories kit, helping you get more thorough cleans in less time! Get higher performance cleaning and boost the functionality of your Kogan R40 SmarterHome™ Smart Robot Vacuum with the Kogan SmarterHome™ Smart Robot Vacuum Accessories Kit. 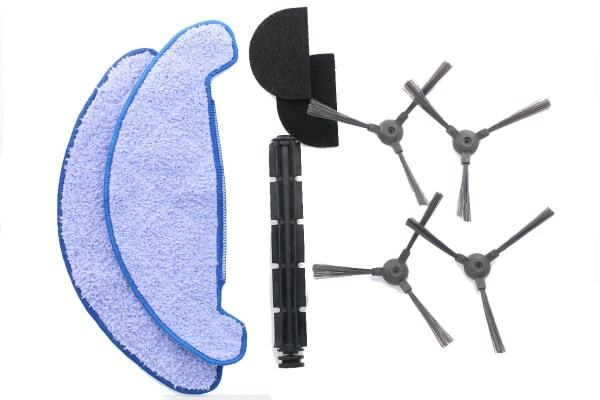 Equipped with two filtering cloths, this accessory kit helps you separate fine debris from larger items, making sure that small toys and coins picked up by the vacuum aren’t lost in the bag. Power through hard to reach corners and fine pet hair with the four side brushes, ensuring no corner is left unturned. Grit sticking to tiles? This accessories kit comes with a main rubber brush and two mopping cloths to help eliminate grit, making hardy cleanups effortless.